Well, here we are, wrapping up a week of amazing Christmas home tours. Marty from A Stroll Thru Life is one of the sweetest in all of blogland, and I'm so happy to once again be participating in her tour. If Linda from It All Started With Paint sent you here, thanks so much for stopping by, and welcome to my home! If you're a new reader, we've been in our 20 year old home for about 8 years, working all along the way to update and make it more functional and personal for our family. I shared my Entry last week, but changed it around a little bit. I also shared my living room previously, but here's a quick peek to catch you up if you missed it. You can see more here. 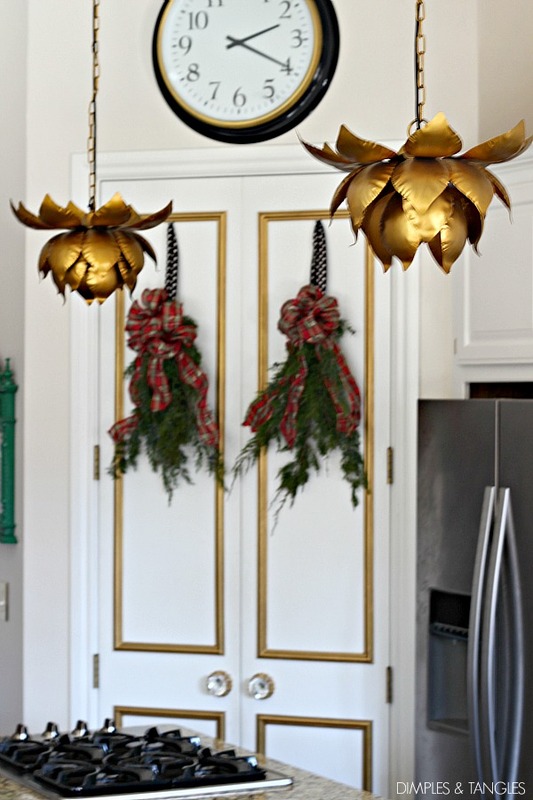 Our Kitchen Breakfast Nook got a little holiday makeover. 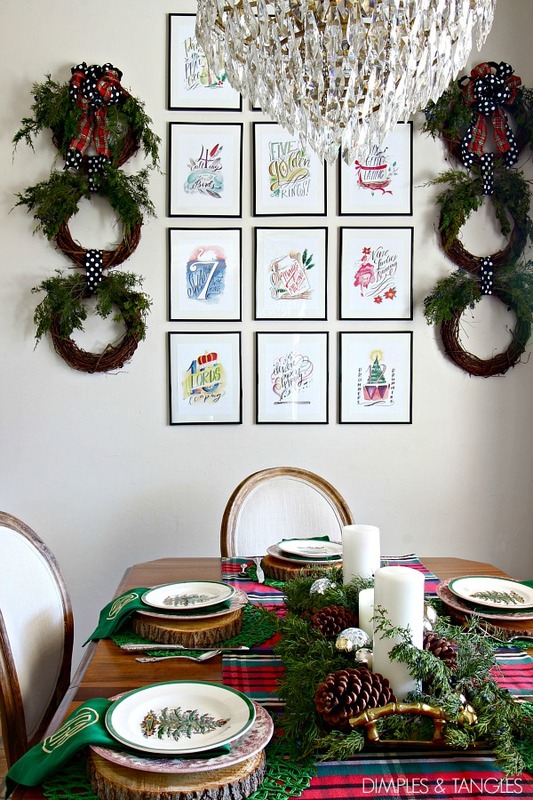 Last year I downloaded these 12 Days of Christmas printables from Lindsay Letters and couldn't wait to get them hung this year! They temporarily replaced my framed botanicals that usually live on this wall. 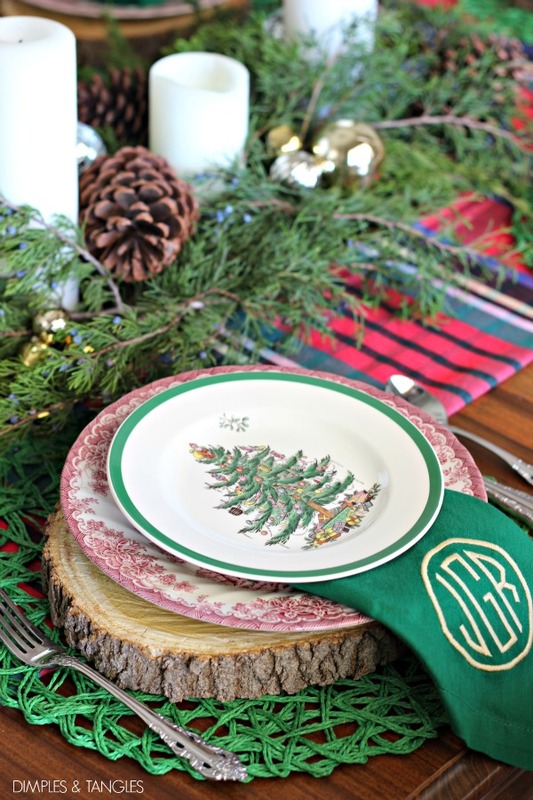 I set the table very simply, with folded fabric for a runner, greenery cut from the yard, and a mix of every day red toile and Spode Christmas dishes. My husband and I cut a lot of tree slices for an event at our church a few weeks ago, so I pulled some of those in to use on the table too. The pantry doors got some fresh cedar swags, also clipped from outside. After YEARS of putting our bedroom in last place on the project list, it finally got a major overhaul this Spring. I think this is the first time I've decorated it for Christmas, such fun! The color palette was already working for me, it was easy to replace the touches of pink with red instead. 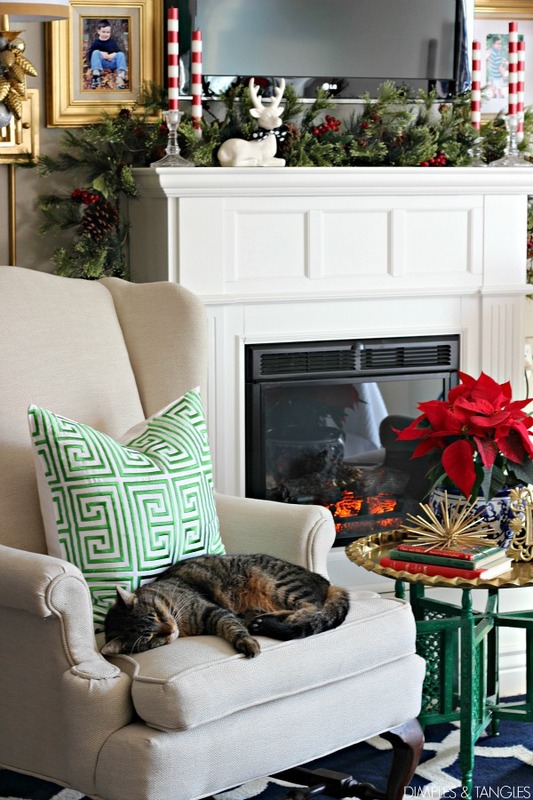 The DIY no-sew fur trimmed pillows that I showed you earlier this week add the perfect amount of Christmas cheer when combined with a bit of plaid and the abundant green that was already in the room. 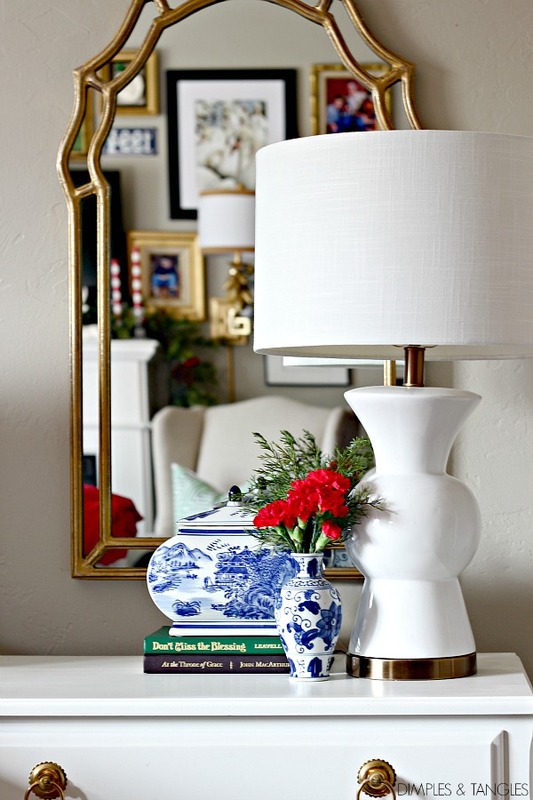 During the makeover last Spring, I really wanted mirrors over the nightstands but couldn't find the right ones. I'm not sure that these will stay in this spot for good, (I'm on the hunt for one more of these), but I'm definitely liking mirrors there rather than the previous artwork. And, did you notice my new Juju hat? I've admired them since I first saw them and finally made the purchase recently when I came across a good deal. The mantle got a bit of garland and a few Christmas accessories. That fireplace/heater has been the best Craigslist purchase for our room, it's so great in the winter! See how we beefed it up a bit here. Although we still have details left unfinished, we've been enjoying the patio already (if you're new, we've had a major overhaul of our patio over the summer). And, it's been fun to add a touch of Christmas out there. I'm amazed that even in spite of a recent ice storm my ferns are still going strong! *Before I go, congratulations to Sarah R., winner of the cowhide rug giveaway! I have contacted Sarah to claim her prize. Thank you all for entering and following along! 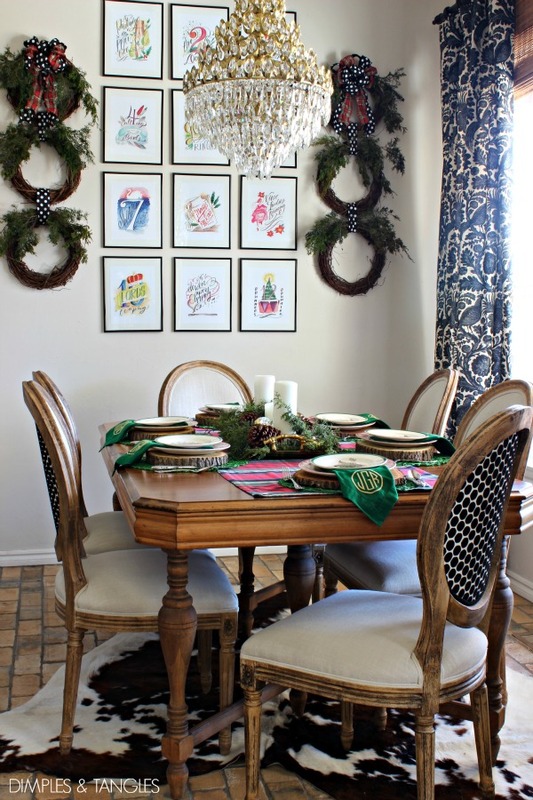 Linking up with The Nesting Place Christmas Tour of Homes. Now, we invite you to link up your Christmas tour, too! Your holiday home is simply stunning!!! I'm in awe! Lovely!! Your master looks great all decked out for Christmas! So much fun to decorate a new space! Oh so pretty, every detail is gorgeous. 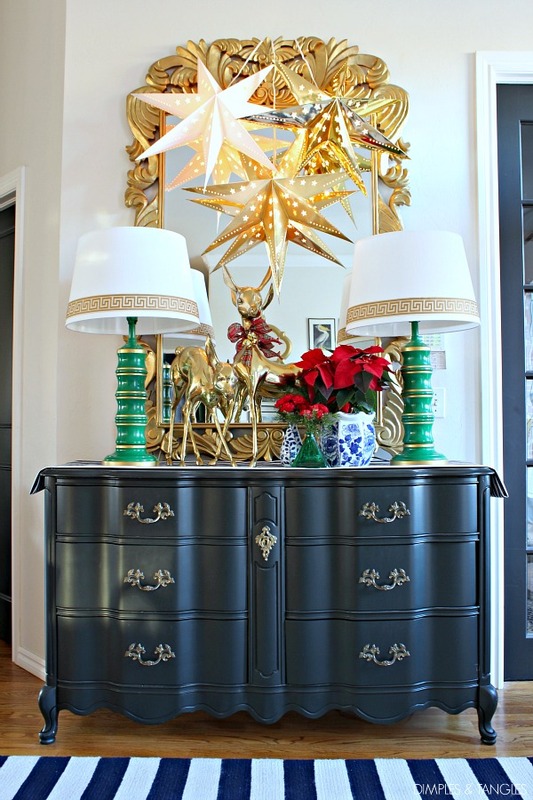 I love your living and dining areas, and how fabulous to see your bedroom all dressed in such beautiful Christmas inspiration. As always I love everything, Thanks for a great tour again. 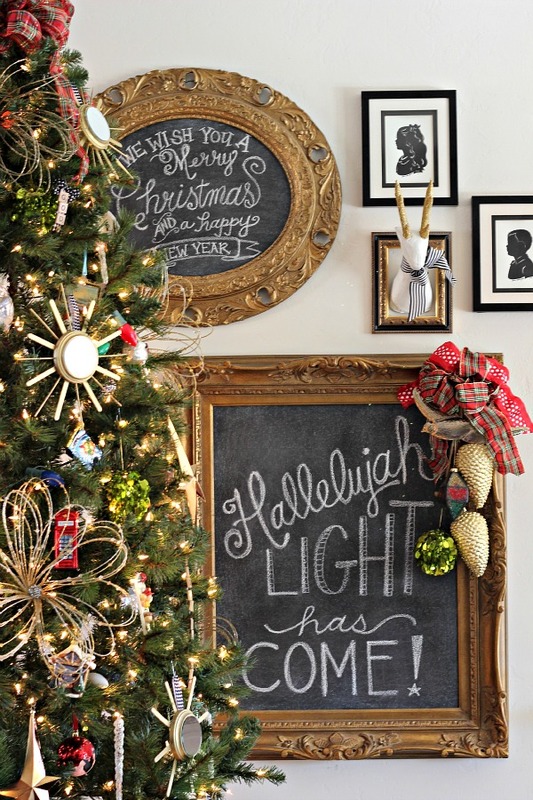 Such a bright, happy and cheerful Christmas home. 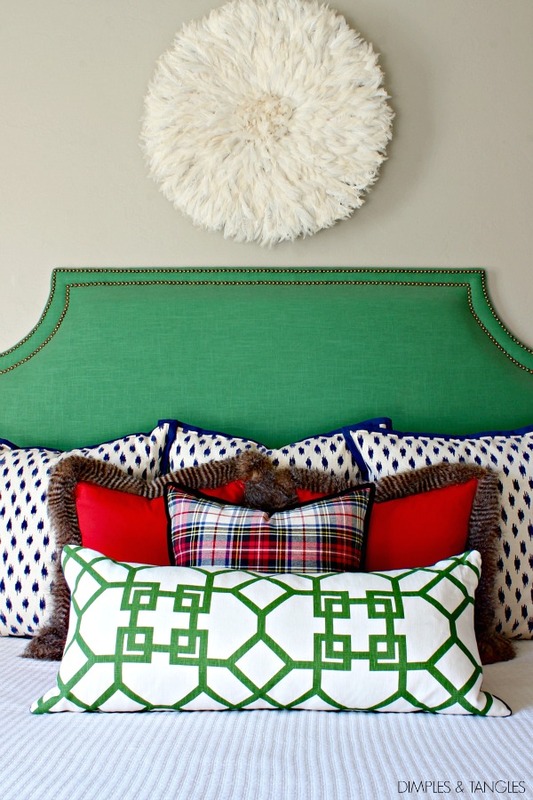 Love the new fur pillows. May all the joys of the season be yours. I love you home and that you use lots of color-especially all the green! 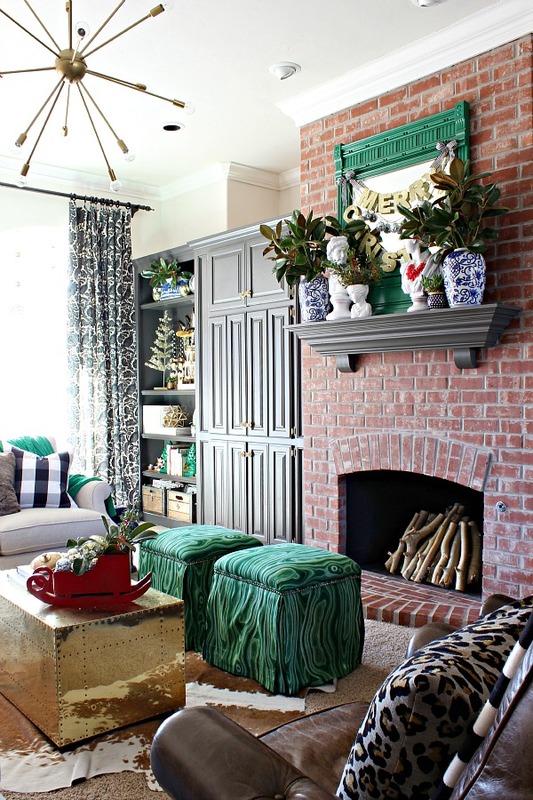 Your home is just a joy to behold in every corner Jennifer! 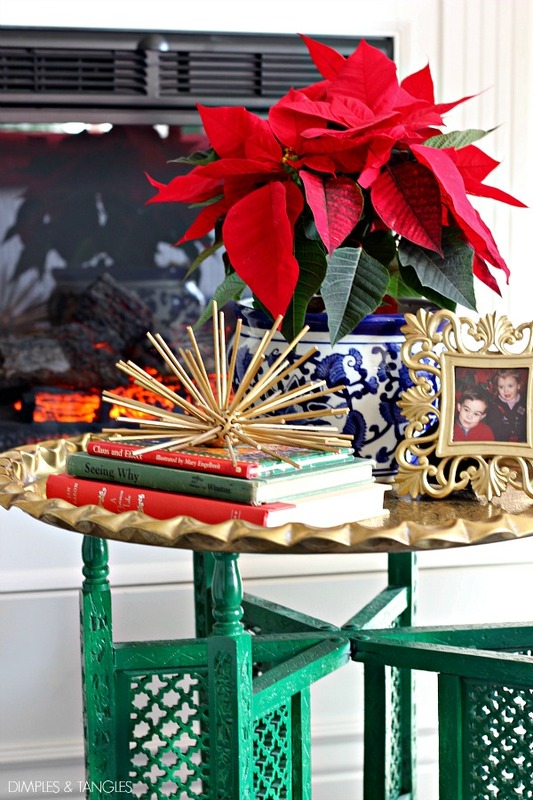 I'm so honored to have share the 12 days of Blogger tour with you! CHEERS! Beautiful! 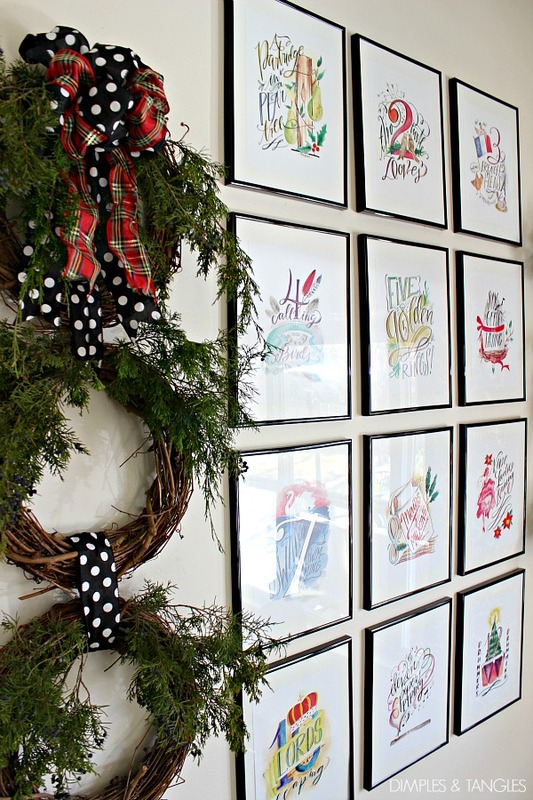 I love the 12 days Christmas printable a too! You did a lovely job decorating it all! 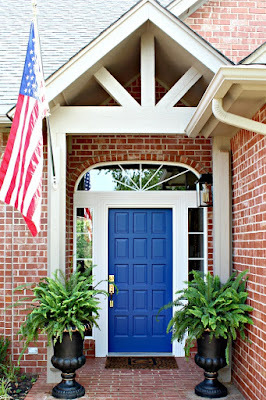 Your home is beautiful, I love every inch of it, from the front porch to the back! So festive Jennifer! 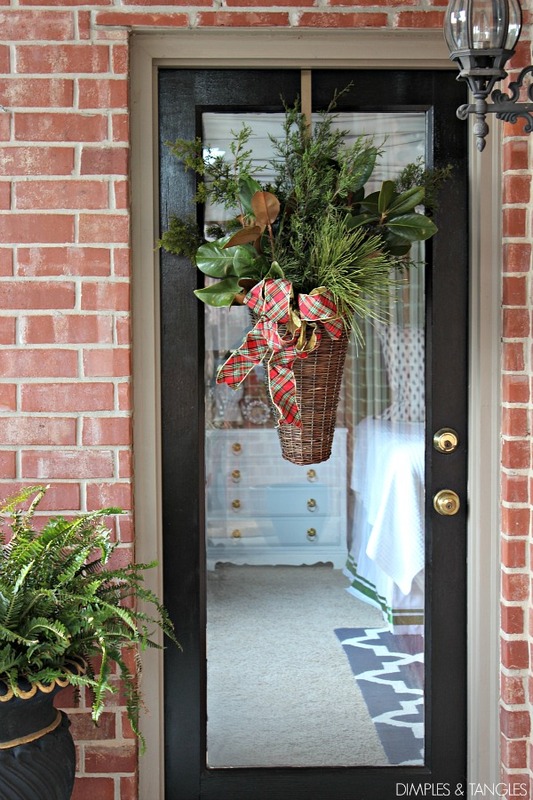 You already have so much beautiful green in your home it looks great for the holidays without much more. I am jealous of your new Juju hat. I have been wanting one too :) Have a very Merry Christmas xo. So beautiful! 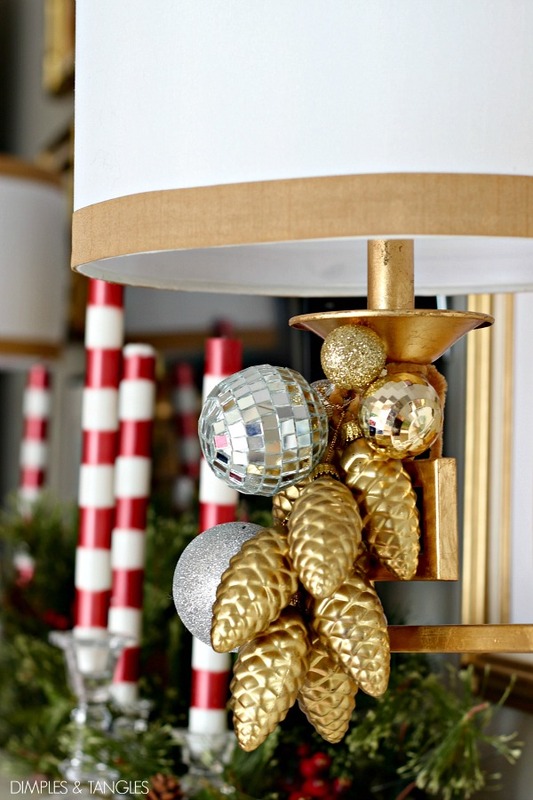 I love your use of color throughout your home and the touch of gold. 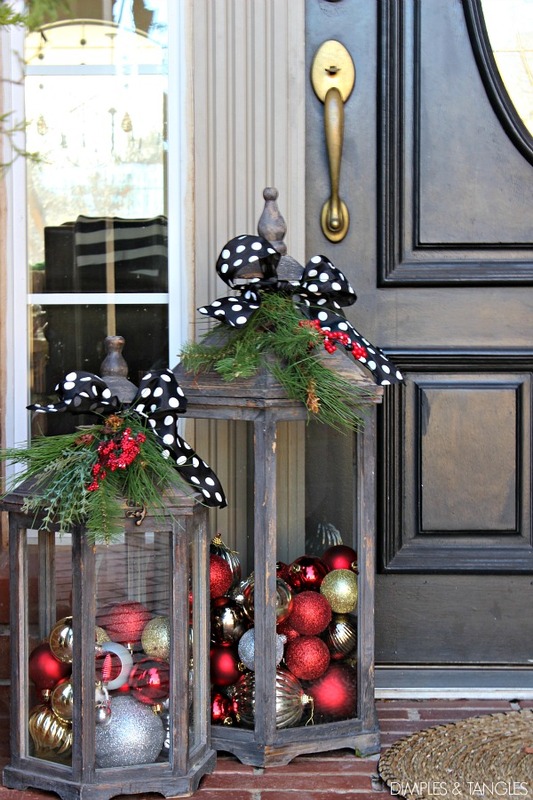 I really enjoyed your Christmas home tour and you have inspired me! You've done such a beautiful job decorating your home. I noticed in this post that you have changed out your nightstand lamps to a beautiful white lamp. 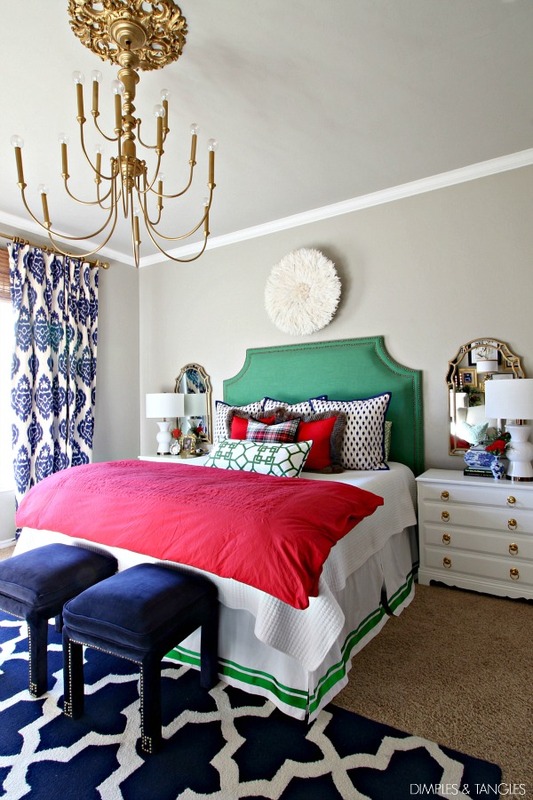 I went back to the post about updating your bedroom and those white lamps were not the one's in the photo. They didn't show up until this Christmas post. Would you mind sharing where you got them as I think they are stunning. Thank you. Gorgeous friend! Love it all! Jennifer, Everything is beautiful! Happy Holidays to you and your family. Jennifer, your bedroom is my favorite room in your house! 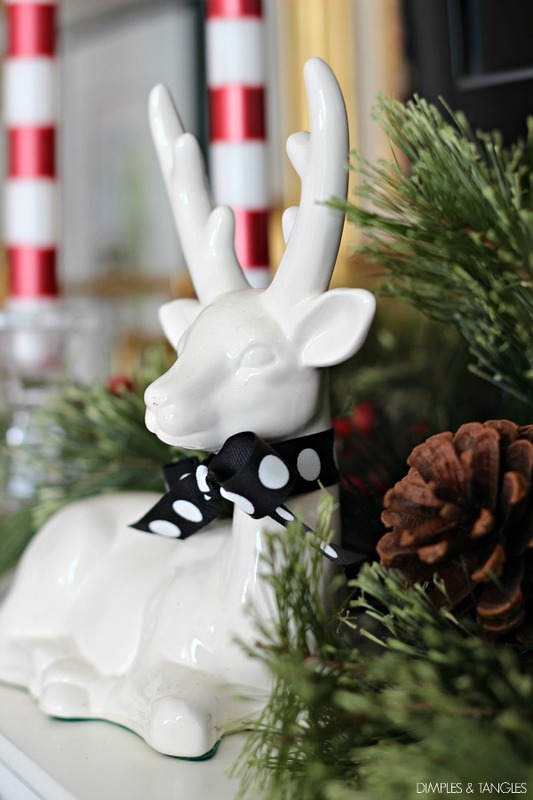 I REALLY like the precious little dear on the mantle (may I ask where you got it?....because I've been looking for one to go on my living room mantle! 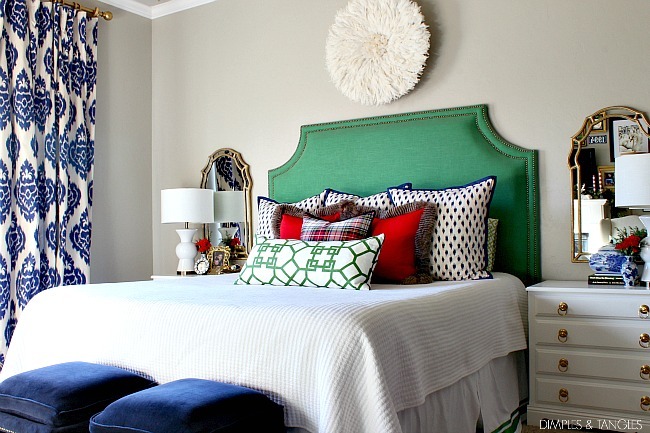 )and the mirrors over your bedside tables look great! I also like those pillows you've moved from the dining room to your bedroom wingbacks. 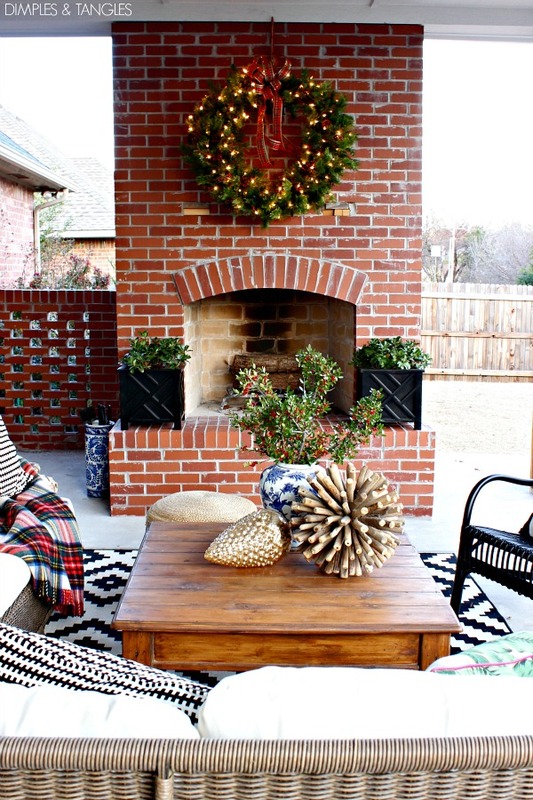 Your neighbor's 'trash' on your patio hearth would look great in red and would add just the right amount of Christmas 'pop' out there! Everything looks so nice! You have such a talent for making everything look pulled together and balanced!! Jennifer as usual your home looks spectacular all decorated for the Christmas season! So cheerful! How fun to have that outdoor space to decorate this year - I hope you get to use it through the winter - such a beautiful space to enjoy a fire snuggled under blankets! 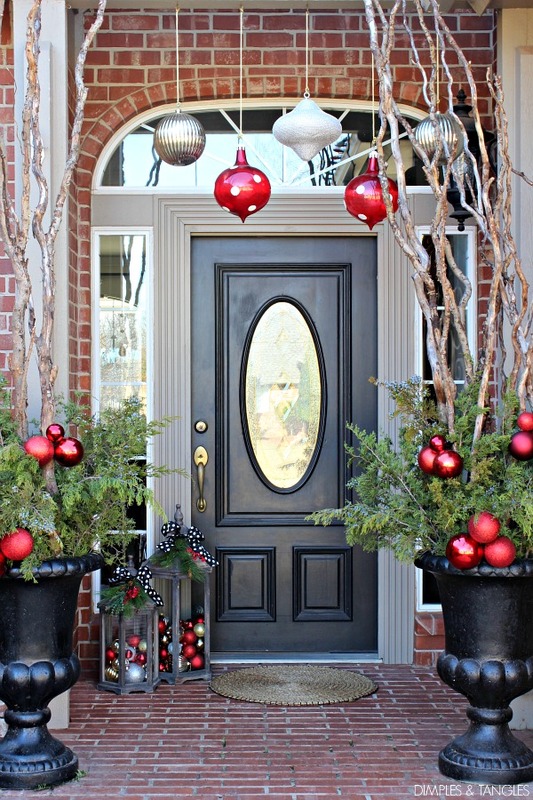 Enjoy your home all decked out! aaaah i love the mix of pillows on your bed!!! so awesome!!!!! your home is always so fun and colorful and perfectly done! Monica, It's always such a nice treat to tour your beautiful home, I LOVE it! The new to me patio is such a cozy spot, what a magnificent fireplace! 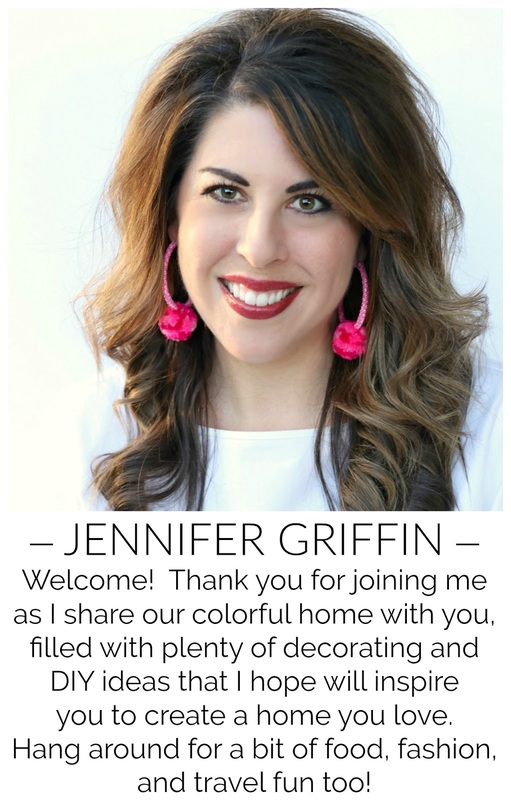 Jennifer, your home is outstanding in all your decor touches! I caught you on the Design Happy Holiday party. There are so many wonderful parties going on, I'm just glad I took the chance to see yours. Beautiful. Merry CHristmas! 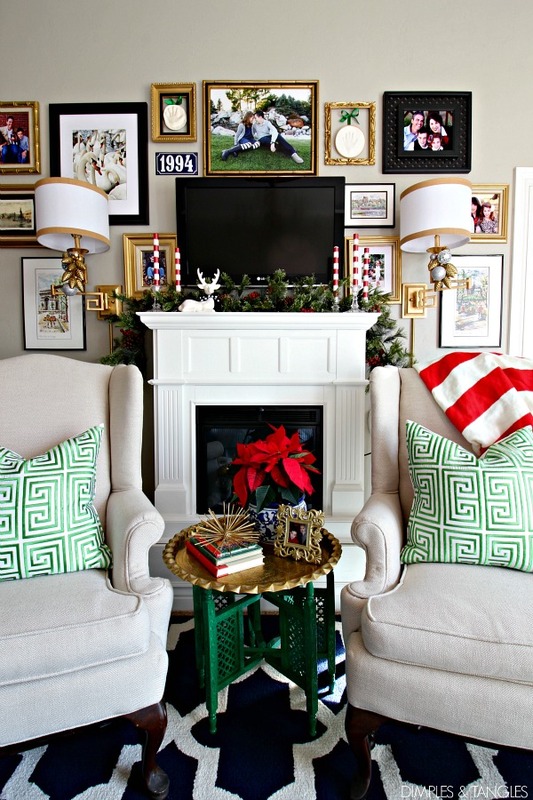 I love how your color scheme (which is beautiful) goes so well with Christmas colors!